MISSOURI: At Least 13 Dead In Duck Boat Capsizing - Joe.My.God. 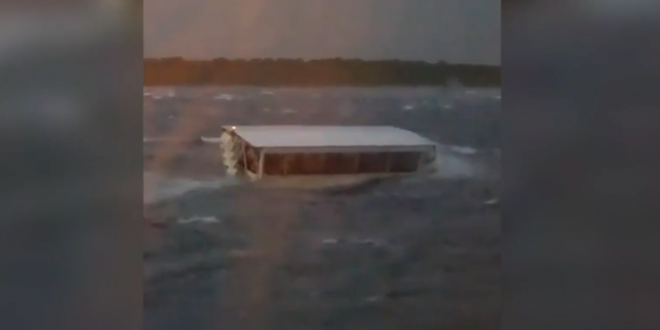 A tourist duck boat capsized in a lake near Branson, Missouri amidst powerful storms, killing at least 13 people, including children, Stone County Sheriff Doug Rader said. The Thursday night accident also injured seven people and has left six others missing, officials said. A total of 29 passengers and two crew members were on board the amphibious craft at the time, Rader said. BREAKING: State Highway Patrol says two more bodies have been found in a Missouri duck boat accident, taking the death toll to 13.